Tiny Treasures’ most popular product. A multiple option framed casting. The Elegant Casting is a multi option choice of two castings: both hands; both feet; or one of each. 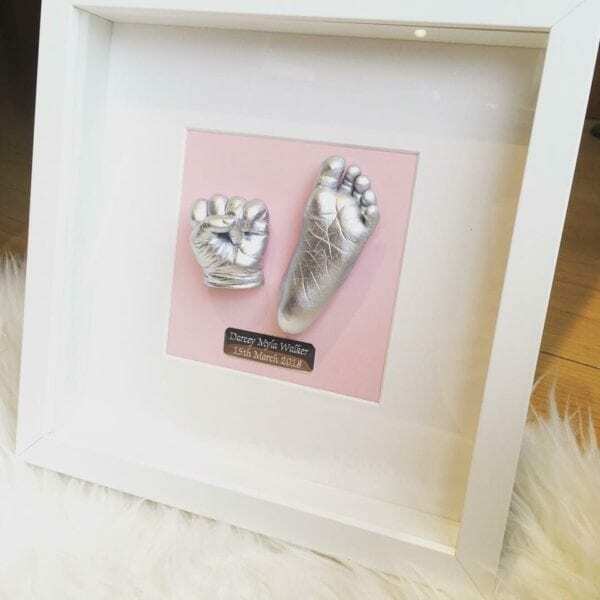 Available in either a black or white frame; this casting is ideal for newborns up to the age of six months. The perfect addition to baby’s nursery. 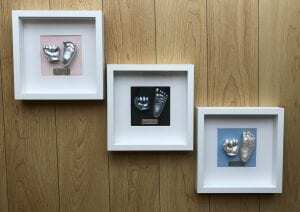 The Elegant Casting is the most requested repeat order as babies grow, creating a tangible history of your child’s Early Years.